Do have love the spa? 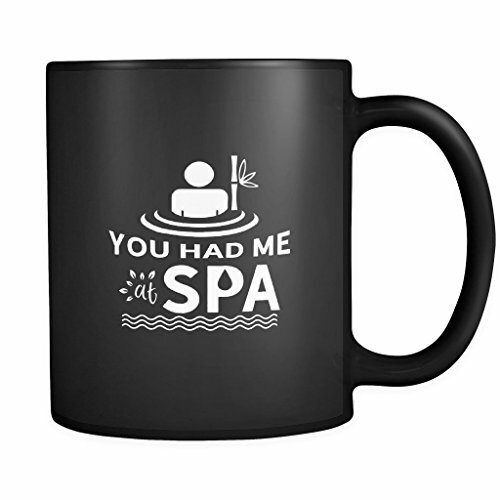 This funny spa 11oz Black Coffee Mug Tea Cup "You Had Me At Shiplap" will allow you to tell everyone about how much you love relaxing in the spa and getting a massage. Great gift idea for you or the loved ones in your life who loves pampering themselvers. This funny spa coffee mug will make a great present for Christmas, Birthdays, or any holiday occasion! Everyone will love this ceramic coffee mug with funny slogan, motto, quote, statement, or witty saying. Mugs are double sided, the same image will be printed on the front and back of the mug. If you have any questions about this product by teelaunch, contact us by completing and submitting the form below. If you are looking for a specif part number, please include it with your message.